There is not one place right now where clients can book the variety of professional talents required for jobs like the talent available on bookd! WHY YOU SHOULD USE bookd! 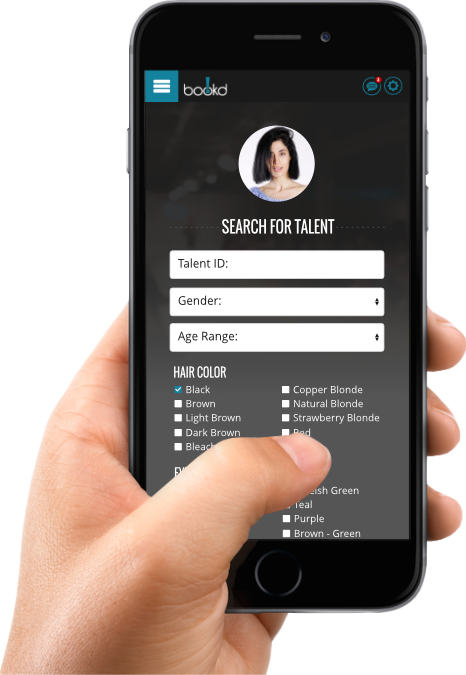 Take control of your talent career and the way you work, by letting clients search, cast, book and pay you directly. bookd! is a fully integrated system allowing clients to search, cast, book & pay for global talent through desktop, mobile phones & Android / iOS. FREE SIGN UP All it takes is an email address to get started. SHARE DETAILS ABOUT YOUR BUSINESS We need this information to ensure the safety and security of our talent. GET VERIFIED You will receive an email when your business has been verified. START BOOKING You get full access to our global database so you can start booking talent.